TORONTO — Changes to the cabinet announced by Ontario Premier Kathleen Wynne place eight women, including three new ministers, in key roles across government. 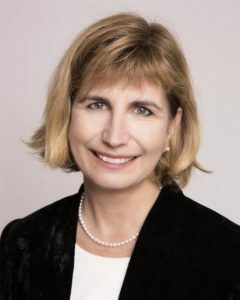 Nathalie Des Rosiers, MPP for Ottawa-Vanier, joins cabinet as the new Minister of Natural Resources and Forestry. Kathryn McGarry, who formerly held the natural resources and forestry position, becomes Minister of Transportation. Des Rosiers was first elected to the provincial legislature in the fall of 2016. She is a well-know constitutional law expert. According the her website, Des Rosiers served as the general counsel for the Canadian Civil Liberties Association for several years. She also had a private law practice and has been an administrator at the University of Ottawa. Congratulations to the new Minister. She certainly has accomplishments. It’s unfortunate the Minister in this portfolio wasn’t from a forest or true rural based constituency. I wonder if the government would choose an MPP for large urban issues portfolio. It’s difficult to be an advocate for forest based communities and families if your background is urban based. Still good luck to the Minister.